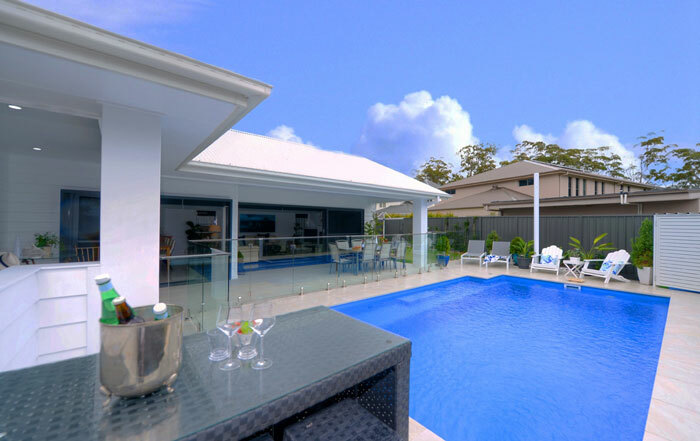 A comfortable sized rural site provides a glorious setting for this home with its magnificent panoramic views from the hinterland escarpment through to the ocean coastline of the Sunshine Coast. 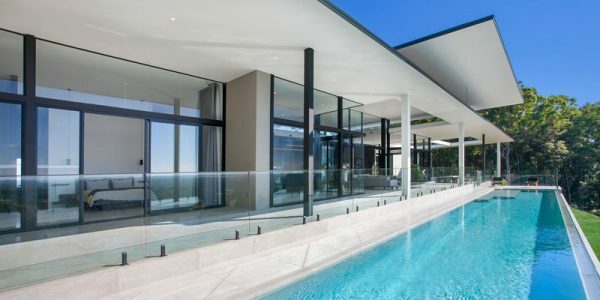 The home’s well-considered design takes full advantage of the views while also achieving privacy from the neighbouring properties. 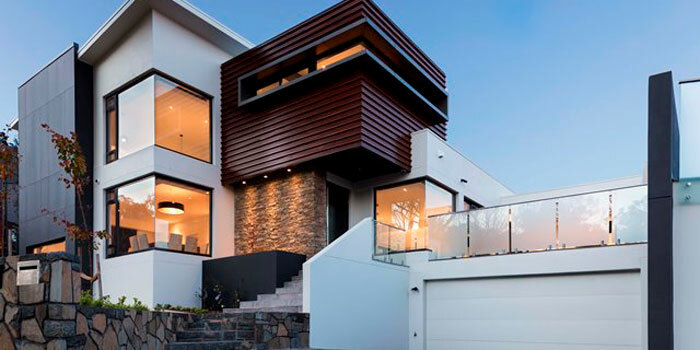 The home was designed to appear from the street as a single storey home. 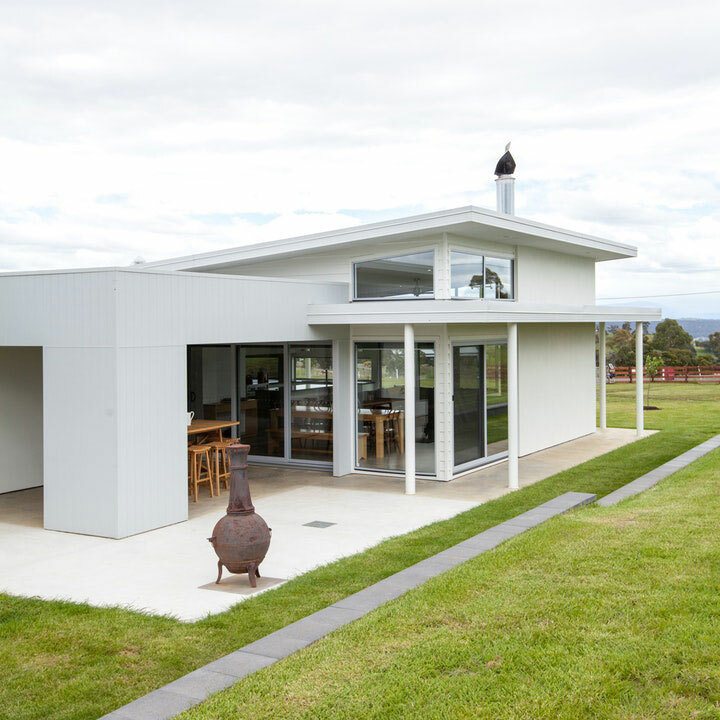 The design has minimised the visual impact of the building from the street with its understated, and far more aesthetically appealing, profile nestled subtly into the rural setting. 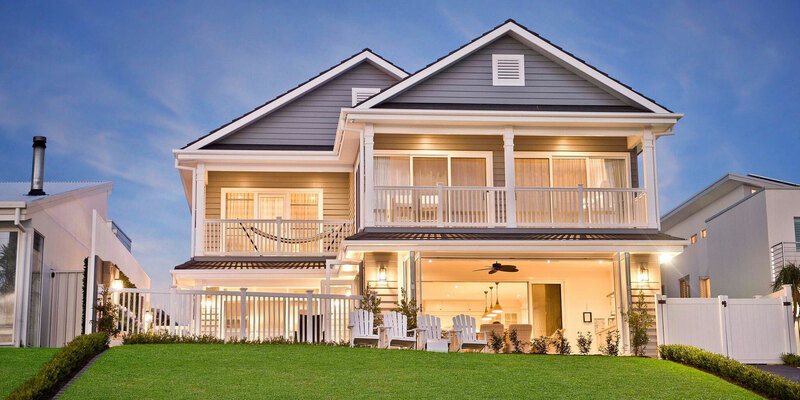 Along with maximising the expansive views from almost every room in the home, this single split-story design meets the brief by providing an easy living. This is a self-sufficient home that has been meticulously detailed throughout where a sense of space and volume is afforded by high ceilings and abundant glazing. The high-quality finishes and workmanship contribute to a luxurious ambience that is entirely appropriate for a location that gives occupants the enviable feeling of being ‘on top of the world. The interior is meticulously detailed to add to the understated elegance throughout the home. 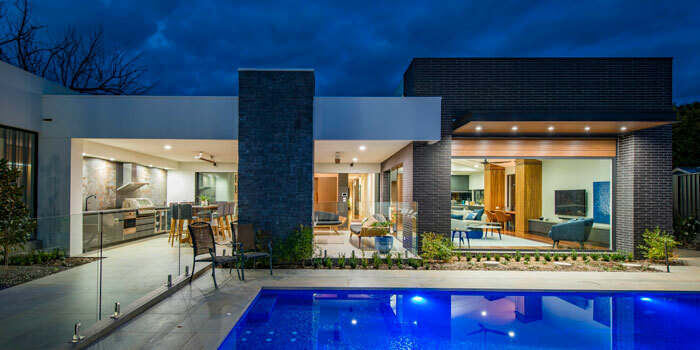 The consistent range of materials and colours used internally and externally deliver a seamless integration of the interiors with the exteriors of this home. This careful selection of complementary materials also harmonises with the natural surrounds of the home. These materials combined with the meticulous detailing of all joinery units and interior spaces create a bespoke quality that is featured in every room of this magnificent home. 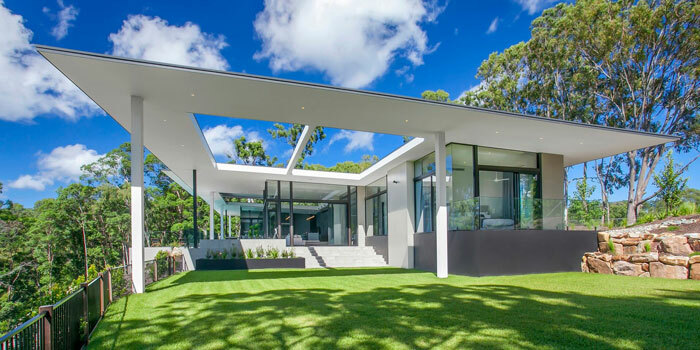 This elongated home capitalises on its position, elevated above an infrequent creek with views across the landscape. One of few clearings on a property that typifies the gentle slopes of the Mudgee area with creek flats below. 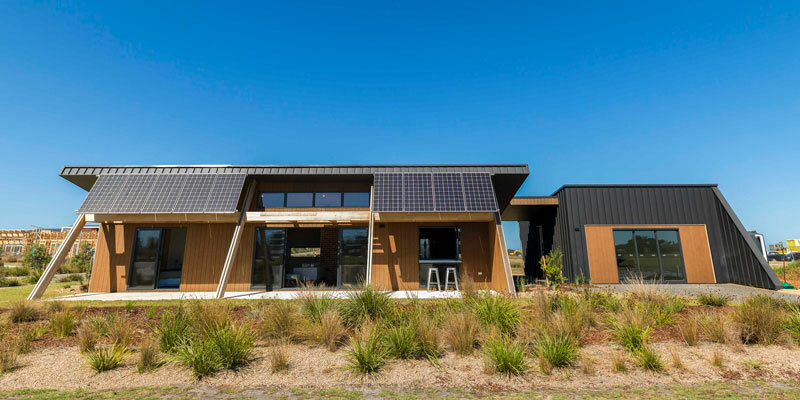 The entry to the home leads you along a sweeping driveway past the utilitarian shed that accommodates the large photovoltaic system. Arriving at the back of the home you enter through the carport, no formalities here. 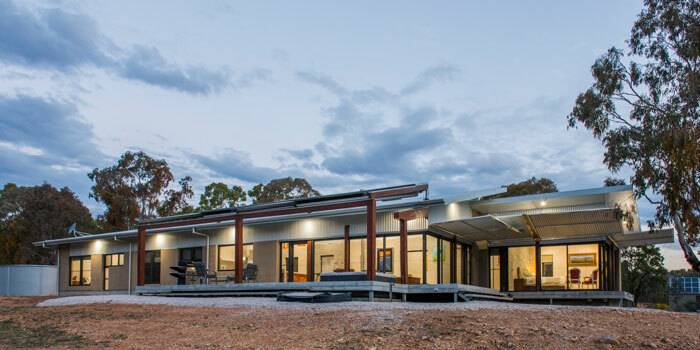 The long plan of the home provides maximum northern solar exposure to warm the home during the cold winters, generous overhangs provide the shading required of an area that can frequent top 40°C. A retractable awning over the northern deck gives the flexibility to provide sun or shade as desired during the shoulder seasons. A slow combustion wood heater is the only form of additional heating within the home. The rope and pulley operated fire shutters that shield the exposed western end of the building are a sensible bushfire precaution. 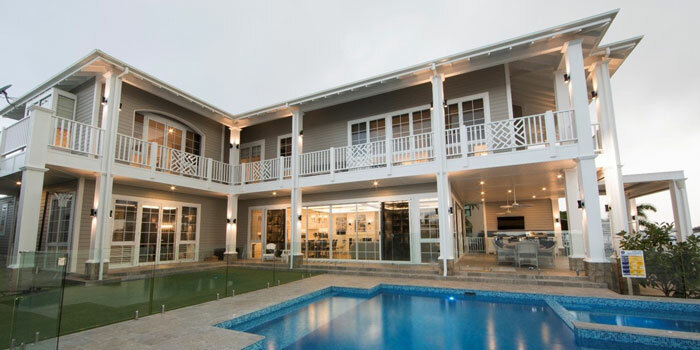 They double as solar shading to the western glazing and if closed at night provide protection in addition to that of the thermally improved aluminium frames and double-glazing. The Hempcrete walls give an insulation R-value of 4.3 from a locally grown resource that is carbon positive when installed and is breathable therefore avoiding potential condensation issues. 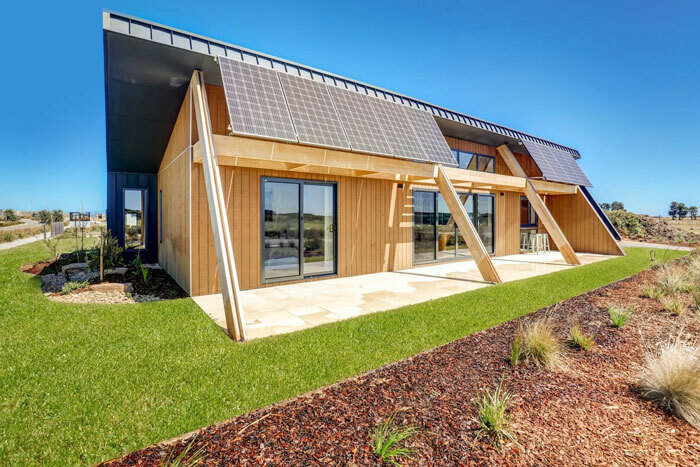 The Core 9 promotes harmony with the natural coastal surrounds and addresses sustainability from construction to consumption of resources over the life cycle of the home. 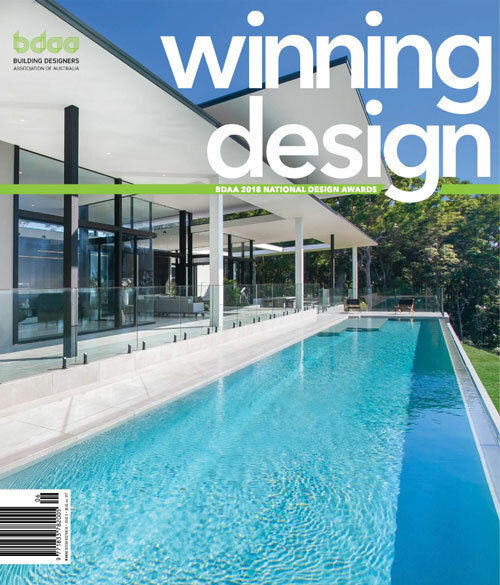 The compact, cost-effective home is successful in responding to constraints of the site. 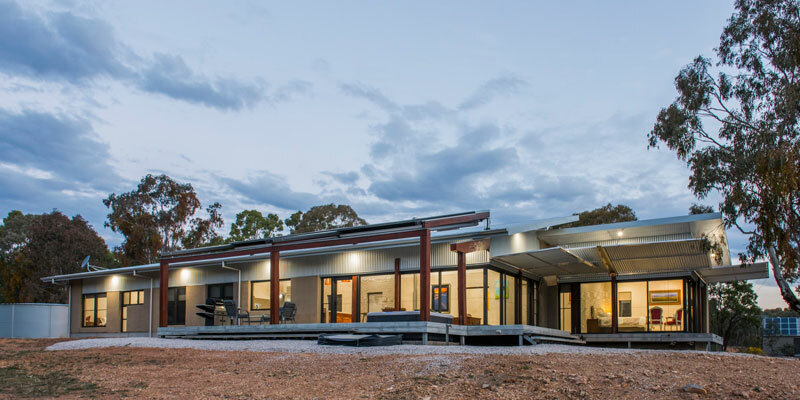 The home sits comfortably within the site and actively benefits from it with passive solar principals and energy efficiency and environmentally conscious provision of recycled thermal mass. The Core 9 aspires to support an industry change from a legacy of poorly constructed and socially isolated housing to the pinnacle of sustainable design and people-oriented homes. 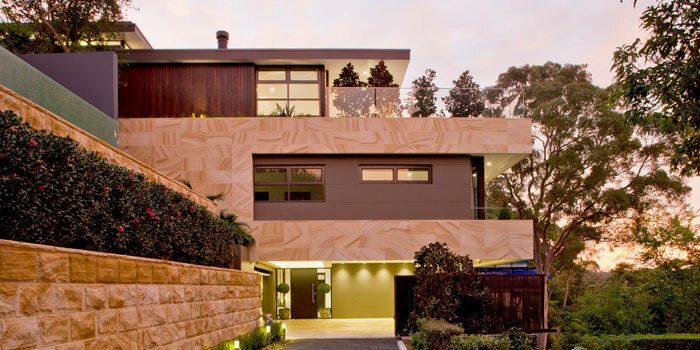 The cornerstones of any sustainable house include cleverly incorporated passive design features and ensuring the home is correctly orientated on the block.